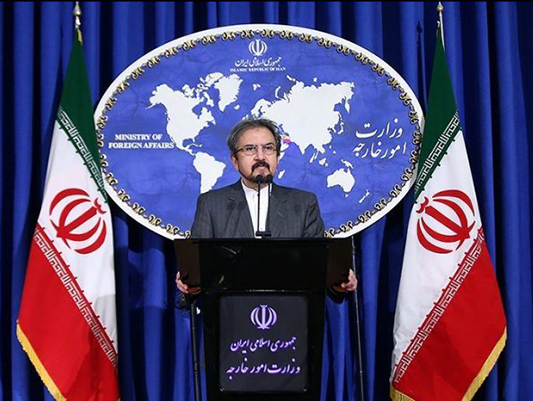 Iranian Foreign Ministry Spokesman Bahram Qassemi has dismissed the media reports that Tehran has asked Tunisia to help resolve differences between Iran and Saudi Arabia. “Jhinaoui conveyed the message to Saudi Arabia’s Foreign Minister Adel Al Jubeir on the sidelines of the Arab foreign ministers’ meeting in Cairo last Sunday,” the daily said, quoting a well-informed source at the Iranian foreign ministry official. The source was quoted as saying that the Tunisian authorities informed the Iranians that the message had been conveyed to Riyadh and that the Saudis would respond to it next week after studying it. “Tehran chose Tunis to play this role in light of its good relations with both parties and in order to keep the move out of the limelight. If Iran chose Kuwait or Oman for instance, the move would be exposed and could cause further complications that would undermine the negotiations before they could start,” the source said.